Dr Luke McDonagh, an Intellectual Property law specialist in the City Law School, considers the Yuletide TV advertising rivalry between the two retail brands. Picture the scene: it is the festive season and all around the country families are gathering around their television sets to watch one of the UK's most beloved consumer events - the John Lewis Christmas TV advertisement, centred this year on the idea of a young girl buying a telescope for a lonely, elderly 'Man on the Moon' so that he can look down on the world and feel alone no more. Parents and children watch in unison as the core message of the advertisement is transmitted: buying Christmas presents - at John Lewis - for friends and relatives will make them feel loved this winter season (or, at the very least, less lonesome). 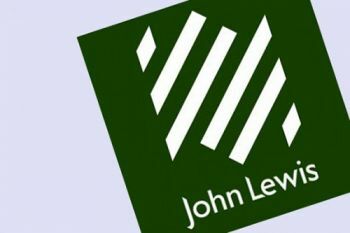 The advertisement is such a hit that it goes viral, and spreads cheer all across Twitter and Facebook pages worldwide; John Lewis is filled with happy customers, smiling and spreading good cheer while spending many pounds. 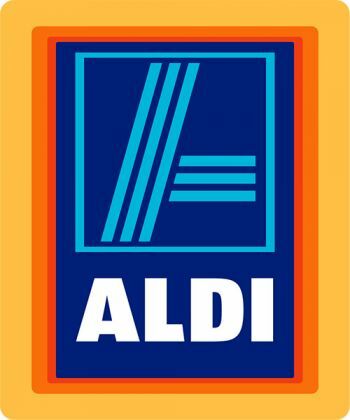 Yet, elsewhere in festive consumerland, something is stirring - creative juices are beginning to flow - and a clever idea comes to an advertising executive at ALDI. This idea can be summed up in one word - parody - and it is via this concept that copyright law comes into our story. In late November John Lewis' rival retailer ALDI launched a (much shorter) 30 second TV advertisement parodying the recent two minute John Lewis 'Man on the Moon' ad. The new ALDI version shows a very similar looking elderly Man on the Moon with two telescopes, with a different price tag on each one. The John Lewis one appears expensive at over £100; while the ALDI one seems much better value at just over £69. The elderly man states that although he likes them both he is is 'over the moon' with the ALDI one as he sees a jolly granny - seen in previous ALDI ads - floating down towards him. Can John Lewis use copyright law to complain about this? Clearly, something has been copied from the John Lewis advertisement by ALDI - but what exactly, and would it be sufficient to amount to copyright infringement? John Lewis could claim that the basic plot of the ad and the set design are essentially the same in both, something which might show evidence of copyright infringement by ALDI. But even if that can be shown, there's something else to take into account - the important exception brought into UK law in 2014 that allows for parodies to be created and published without permission of the author of the parodied work, where these parodies are considered to be examples of 'fair dealing' with a copyright work. Since the parody exception is so new to UK copyright law, we have little case law to go on to figure out what is considered 'fair' in the context of a parody. We do, however, have the 2015 Court of Justice of the EU decision in Deckmyn, which stated that there are two essential requirements of a parody: (a) the parody must not be a bare copy of the original i.e. it must be sufficiently different from it and (b) the parody must be an attempt at humour. Both of these conditions might well work in ALDI's favour - the advertisement is different from the John Lewis original, and it is certainly humorous (though, admittedly, absolutely nobody at John Lewis is laughing). In terms of whether it is considered by the UK courts to be 'fair', the courts are likely to take account these two factors as well as the fact that (i) the John Lewis advertisement was in the public sphere - and had already become famous - at the time that ALDI decided to put out their parody, (ii) the amount used by ALDI is relatively small, and thus more likely to be fair and proportionate to the attempt at parody (iii) (in the case of any Trade Mark concerns) the ad clearly marks itself as a parody of the John Lewis original, and potentially plays to a different market of customers - those who value the price of ALDI products over the customer service of John Lewis ones. So it is likely that ALDI have pulled off quite a masterstroke with their new ad - not only is it a clever spin on a beloved UK festive advertisement by a competitor, the ALDI parody is also quite likely to be found legally acceptable if John Lewis try to take a claim against them in the UK courts. Moreover, given how new the parody exception is in the context of UK copyright law - and in light of the apparent success of this particular parody - it seems likely that in the future companies will engage in further parodies with the intention of generating attention for their products. There is an exception to copyright that permits people to use limited amounts of copyright material without the owner’s permission for the purpose of parody, caricature or pastiche. For example a comedian may use a few lines from a film or song for a parody sketch; a cartoonist may reference a well-known artwork or illustration for a caricature; an artist may use small fragments from a range of films to compose a larger pastiche artwork. This exception, however, only permits use for the purposes of caricature, parody, or pastiche to the extent that it is fair dealing.